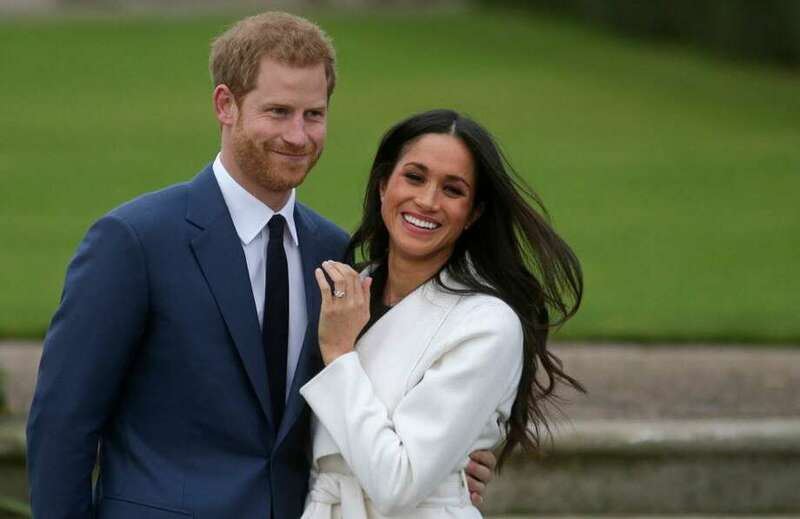 Do you expect that invitation to Prince Harry and Meghan Markle’s spring nuptials to remain conspicuously absent from your mailbox? Were you only hoping for an in so you could enjoy the banana cake that has been rumored to be the couple’s choice for the ceremony’s confectionery centerpiece? No worries. If you are as gaga over this tropical fruit as the royal couple, there is no need to cross the pond. Those in the business of predicting culinary trends expect the already popular ingredient to rise even higher in the esteem of foodies this year, particularly in desserts and other products that take advantage of its versatility and accessibility. Britain’s Prince Harry and U.S. actress Meghan Markle pose for photographs on Nov. 27 in the Sunken Garden at Kensington Palace in London, following their engagement announcement. As the wedding plans progress, such juicy tidbits as to what will be the flavor of their ceremonial cake are attracting the public’s attention. As part of the shift toward more plant-based diets, expect to find more banana flour, banana milk, banana vegan ice cream on the shelves, as well as at-home snacks that can be created about as quickly as a bullet mixer or blender can churn through chunks of frozen banana. Perhaps the cake will be a riff on banoffee pie, a banana dessert made famous by British chef Ian Dowding. With its pastry base, toffee — made of condensed milk, sugar and butter — layer of fresh banana slices and whipped cream with a pinch of instant coffee, it is not a dessert for those watching their waistlines. It might go the way of banana bread — a popular treat to serve at tea time — or it may be a nod to Markle’s Southern (OK, Southern California) roots, such as a Hummingbird cake. Even Dole, a top seller of bananas, has gotten into the act. About a week after news of the engagement, the company offered its director of culinary nutrition, Mark Allison, to bake a cake. Keiling, who was trained as a baker and pastry chef, says she is uncertain whether the royal couple’s possible cake choice, which strays from the more traditional fruitcake served at British nuptials, will cause tectonic shifts in wedding cake requests, but perhaps it will encourage a few to go beyond the typical. That search may lead them to Purdy Hill Bakery and Deli in Monroe, which has a banana and a banana nut cake on its menu. “It’s not as common a request as, say, vanilla or chocolate, but I’d be interested to see if they start coming in,” says manager Gina Brancadoro. It wouldn’t totally surprise her, given that one of the store’s more popular cakes is the Bungalo — two layers of vanilla cake and one layer of chocolate are separated with fresh strawberries and bananas, along with a whipped cream frosting. Is it possible to go wrong with bananas? Not really, says Lou Montanari, owner and chef at Hub & Spoke in the Black Rock section of Bridgeport. 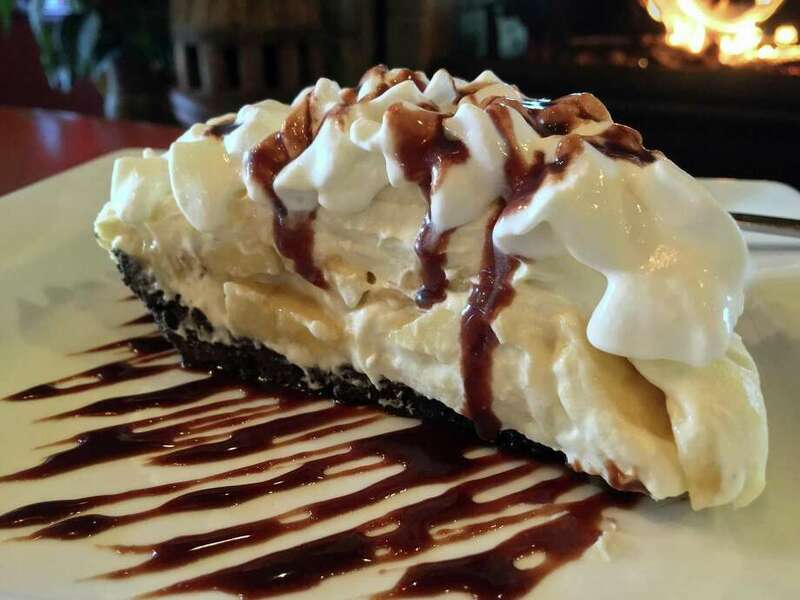 One of the most popular of his homemade desserts is the banana cream pie. He serves about two dozen slices a week. With vanilla pudding piled high above a black-bottom crust and a mound of fresh banana slices, the treat is topped with whipped cream and chocolate sauce. He expects to offer bananas Foster, too. His version is a praline cup filled with ice cream and heaped with bananas that have been cooked in a sugary, cinnamon sauce. Yum. Hub & Spoke, a restaurant in the Black Rock section of Bridgeport, makes all its desserts, including the banana cream. Owner and chef Lou Montanari loads up the sweet treat with fresh bananas, a food expected to rise in popularity in 2018. “The nuts and bolts of it are this: bananas are a consistent and tasty product that you can get year round, which is great,” he says. As to the appeal, Montanari says those ordering dessert may not be thinking of health benefits, such as its high level of potassium, but likely appreciate its sweet flavor and creamy texture. Beyond being the star of the dish, bananas also are a great utility player. Last month, in her new series on Freeform, “Movie Night with Karlie Kloss,” the model whipped up some banana-oatmeal cookies with her buddies actor Burkely Duffield and model and actor Jourdan Dunn. Mashed bananas can be a healthier alternative to butter, reducing the fat content in cookies or cakes. Bananas can be a plausible stand-in for ice cream. For the past couple of years, those in the know (thank you, internet) have been whipping up a healthy frozen treat that only requires some frozen chunks of banana and imagination. Turns out that if you churn up bananas long enough, the resulting treat can be nearly a dead ringer for soft-serve ice cream (or hard ice cream if you refreeze it). “Banana whip is super easy,” Keiling says. “The key is to use super ripe bananas. The pro tip is to peel before you freeze them. Just peel them, cut them into pieces and store them in a plastic bag or container and they are ready to go when you need them. You can add milk or almond or cashew milk, or coconut milk to make it super indulgent. You can add peanut butter or almond butter, mini chocolate chips and toasted coconut. It’s just a real easy treat. Start with preferred amount of ripe bananas. Peel the bananas and cut them into half-inch coins. Put the bananas in an airtight container. Freeze for at least two hours, but ideally overnight. Blend frozen banana pieces in a small food processor or powerful blender. 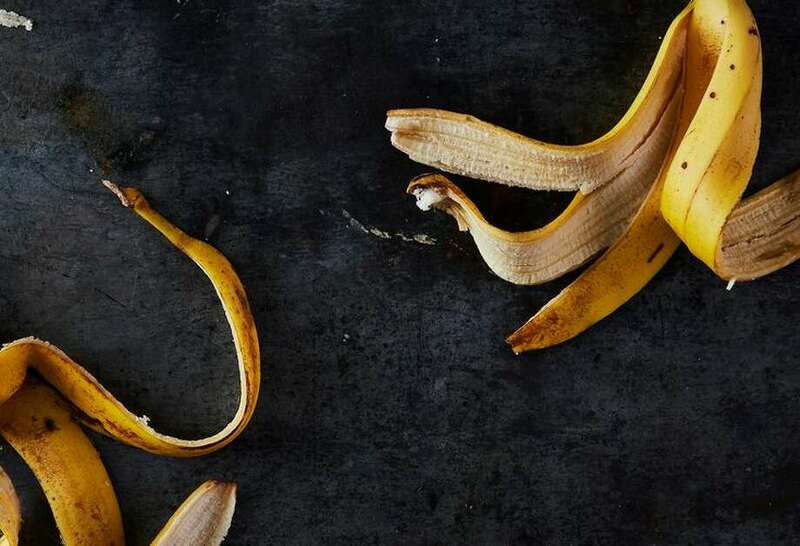 Bananas will look crumbly at first, but then turn into a gooey consistency. Finally, the mixture will become creamy, similar to soft-serve ice cream. Scrape down the sides of the food processor or blender. Serve soft or transfer mixture to airtight container and freeze until solid. Note: Add water or milk (including nut or coconut milk for a creamier texture), as well as mix-in ingredients, such as peanut or almond butter, honey, chocolate chips, chopped almonds, chocolate hazelnut spread and cinnamon.